If business cards and postcards are not enough, Posters and Flyers are one of the best affordable ways to make big impressions of your project. 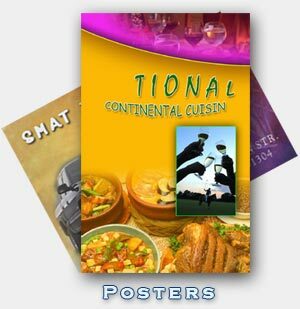 Full color poster and flyer prints are ideal for window placement, restaurants and bars, or theatre announcements. Use them whenever you need to get noticed. Order your high quality prints for amazingly low prices by uploading your images. 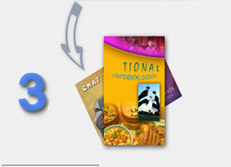 Design your flyers or posters. Prepare your images, then Upload them using our easy online Upload Tool. 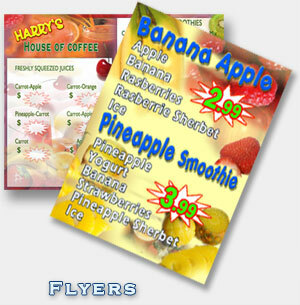 Enjoy your great quality flyer and poster prints delivered to your door. Send the images on a CD. If you have a slow internet connection and large files, or if you have too many files, you can save your digital images onto a CD and send them to us.